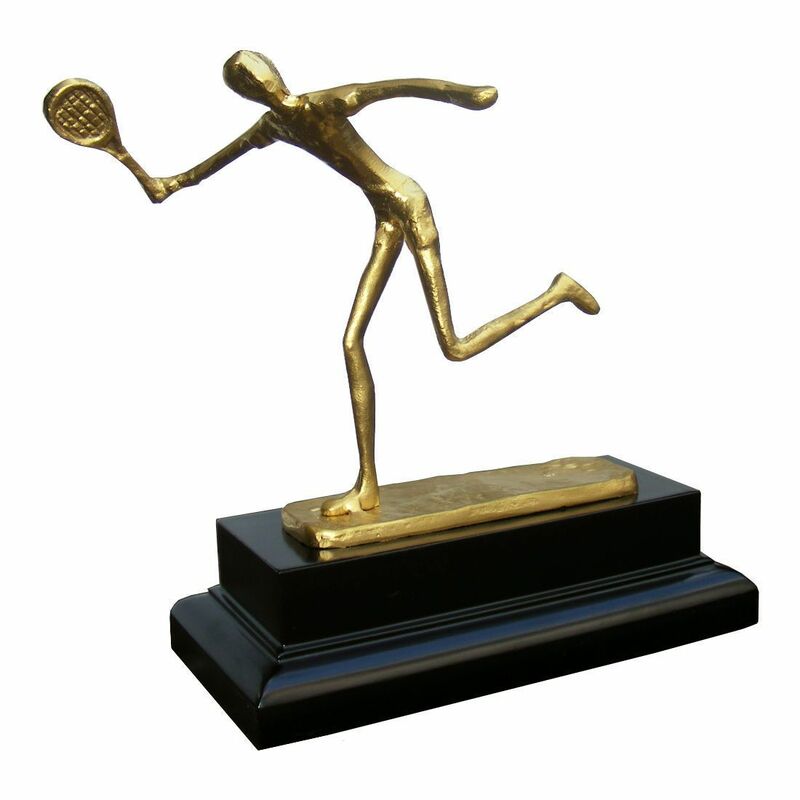 This beautifully designed Tennis award is made from cast steel and finished in a metallic gold colour. It sits on top of a black, polished plinth. 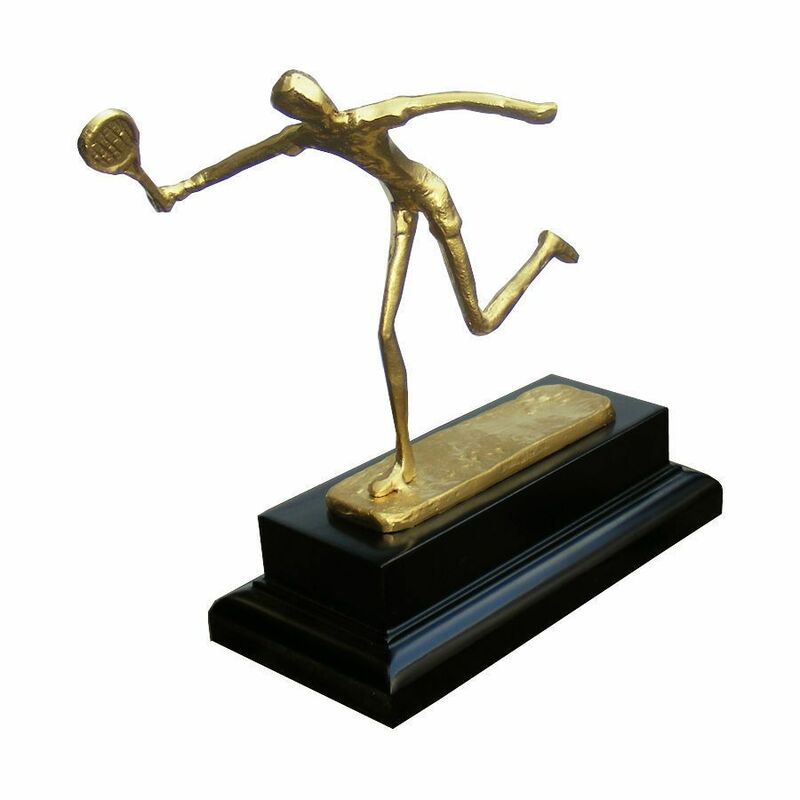 A wonderful item that will not just make a unique, eye catching trophy it will make a gorgeous ornament for the home for any keen player or fan of the sport. This is done on a plaque which is attached to the plinth. 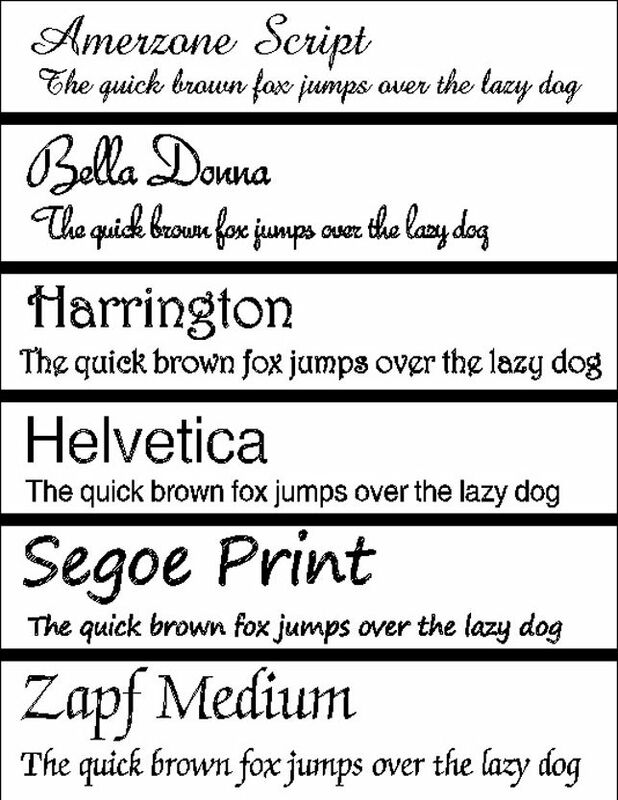 If no engraving is required, we will not attach the plaque. This trophy features a smokey effect tint throughout and stands on a matching glass rectangular stand.